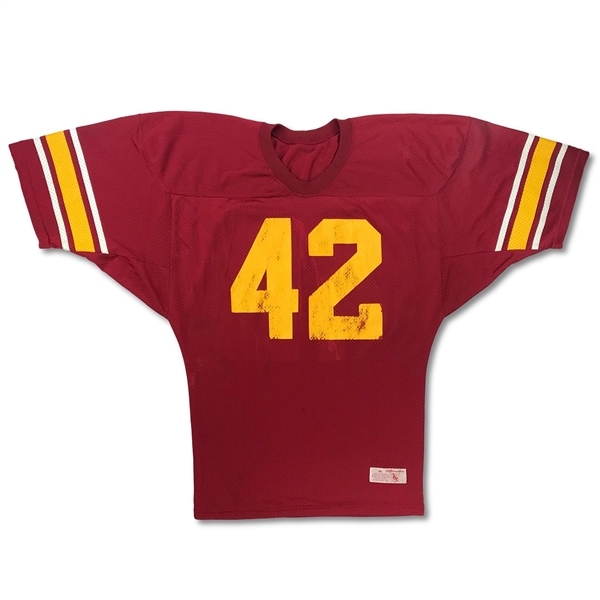 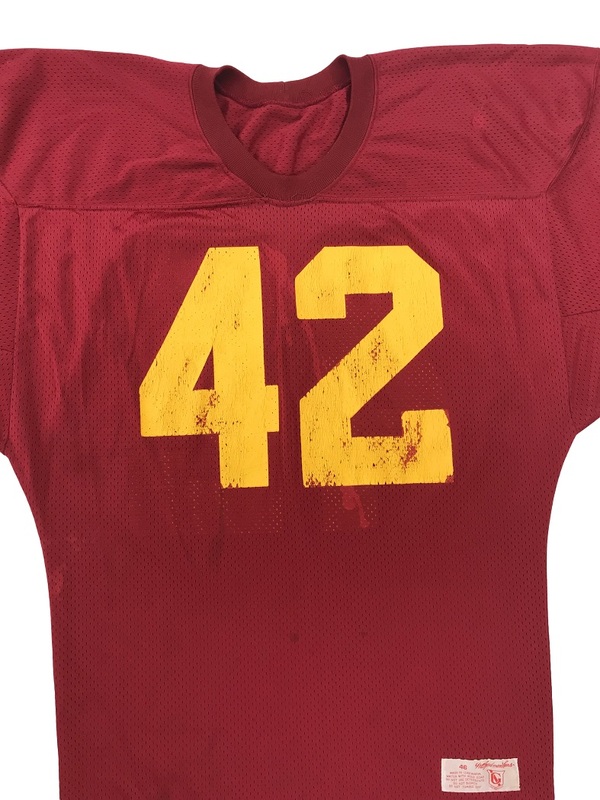 This USC Trojans home jersey was worn by Ronnie Lott during his All-American collegiate career. Ronnie Lott played for the University of Southern California from 1978 through 1980. Lott was an All-American during his final year at USC as he led all of college football in interceptions and interception return yards. 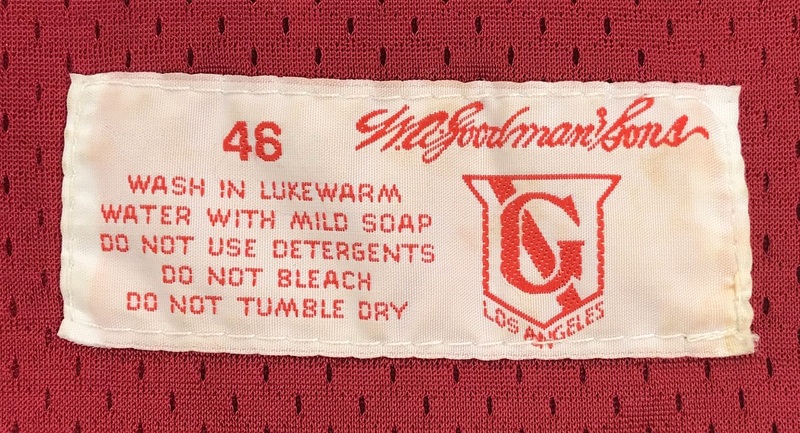 This size 46 home USC jersey features a Goodman & Sons Los Angeles manufacturer's tag on the front tail that appears to be intact and unaltered. The jersey shows multiple game use as it features two large team repairs on the shoulders along with loose threads and remnants of stains on the front side of the jersey. 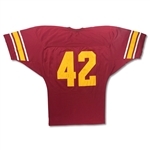 The numbers show the age of the jersey as there is splitting in the vibrant yellow silkscreen numbers. 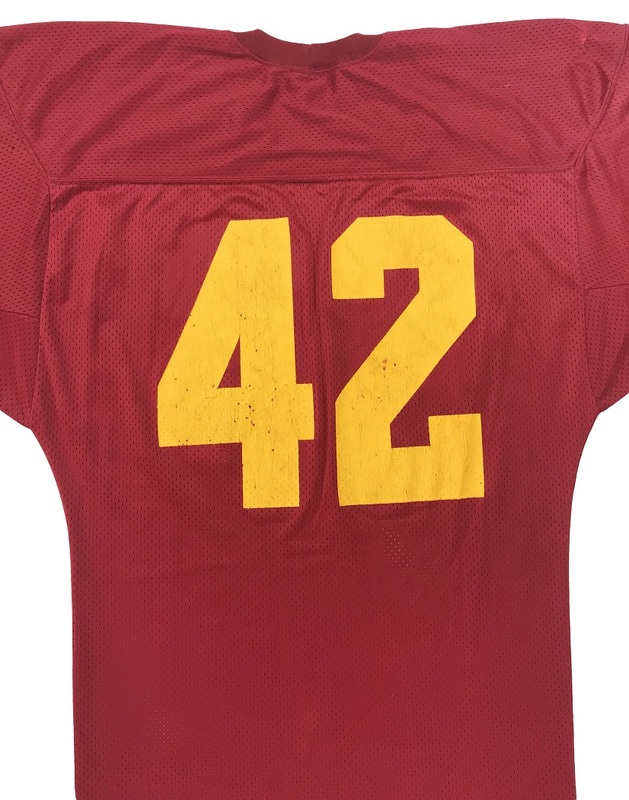 This jersey originated from the most famed USC collection in existence.